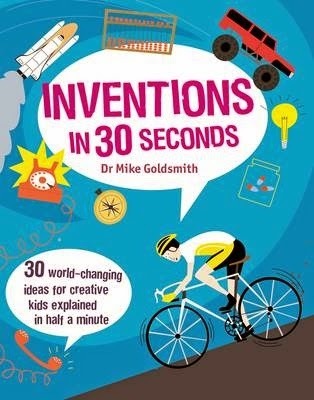 Inventions in 30 Seconds is another in the series that captures key concepts in a quick and simple way. They can all be summarised in just half a minute. Instructions are provided for a bunch of activities and experiments such as making a telescope, lighting a bulb, and - perhaps the most fun of all - making a balloon-powered rocket. Read the book and add up how many of these things you use every day. Which ones do you think you couldn’t live without? Just imagine what life was like before they were discovered.